You don’t have to install any dependencies, everything is linked into the program. Hello. I downloaded your CreateCertGUI, but Windows 10 blocked it as malware, Trojan: Win32/Detplock. I tried a few times with the same results. Could this simple be a false positive? What version of OpenSSL is used in the GUI? What language did you use in development of the GUI? 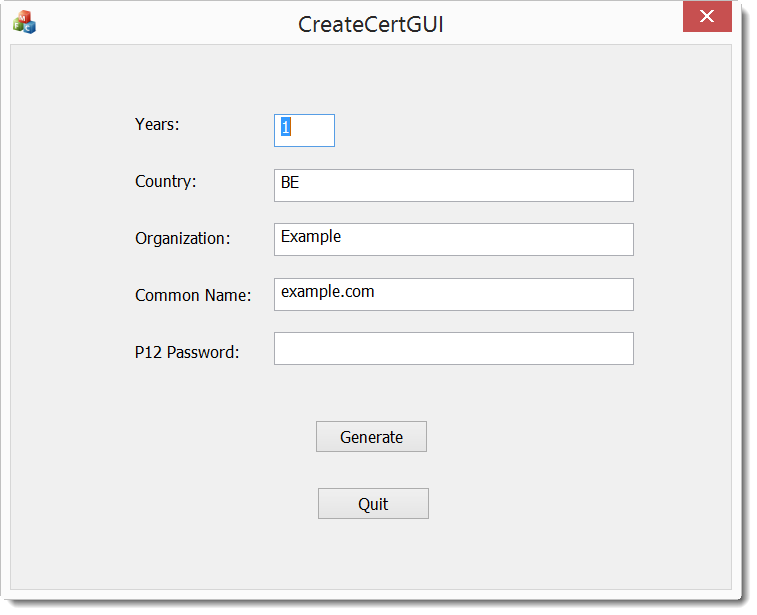 do this kind of certificate generate by CreateCertGUI can be used on a Aruba controller for captive portal purpose? i genrated a certificate with your Tool, My controler supports .P12 files but i’m unable to upload it. Will there be any support soon for SubjectAltName? As Mark Copper mentioned, Chrome requires that and it would be awesome if you could at this to the program. Anyways, thanks for the awesome program! Like I replied to Mark, it’s on the todo list.